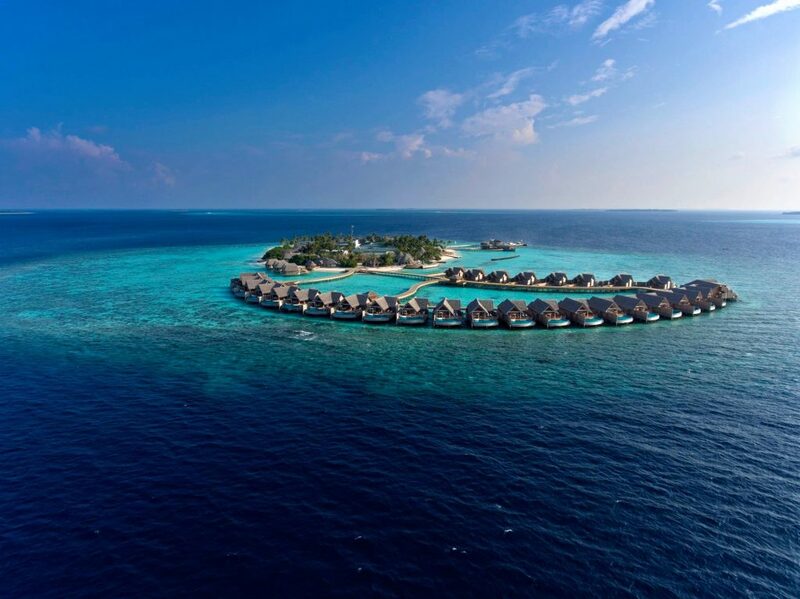 Sun Aqua is launching the third property in their portfolio; Sun Aqua Iru Veli, An exclusive resort on the island of Aluvifushi, a private island for guests only in the heart of the South Nilandhe Atoll. The resort is scheduled to open in October 2018. 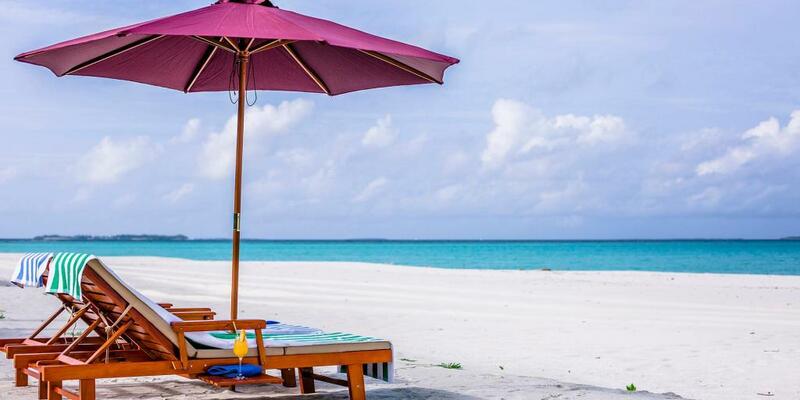 Iru Veli is a five-star premium all-inclusive resort of 125 villas and suites, all with private pools. Across the lagoon and along the beach, a variety of over-water and beachfront villas offers total seclusion in open spaces. All villas, whether couples’ suites or extended family villas, feature vistas across the Indian Ocean in the true Maldivian style. Sun Aqua Iru Veli is a quick 40-minute seaplane ride from Malè and the international airport. Features include an infinity pool, a fully equipped recreation centre, a variety of activities and water sports such as jet ski, windsurfing, fun rides, catamaran sailing etc. The resort also has three restaurants and two bars which offer both local and world-class international cuisine. While one is a grill restaurant serving fresh seafood, another is an over-water restaurant offering Italian cuisine. As an added flavour, Middle Eastern guests will be happy to learn that the Sun Aqua Signature, the premium all-inclusive plan, includes one daily shisha per couple at the Shisha Lounge free of charge. Iru Veli also includes a Spa, with its six treatment pavilions and hydrotherapy area, is perched over the lagoon as an over-water spa offering a range of treatments combining western and eastern philosophies. According to the Executive Director at Sun Siyam Resorts, Zuleykha Manik (Zuley), Iru Veli ensures the utmost privacy for its guests. In order to guarantee this, back of the house operations and accommodation for team members will be arranged in a separate island located nearby. True to the Sun Aqua brand, the new resort is laid-back and stylish with a playful vibe. 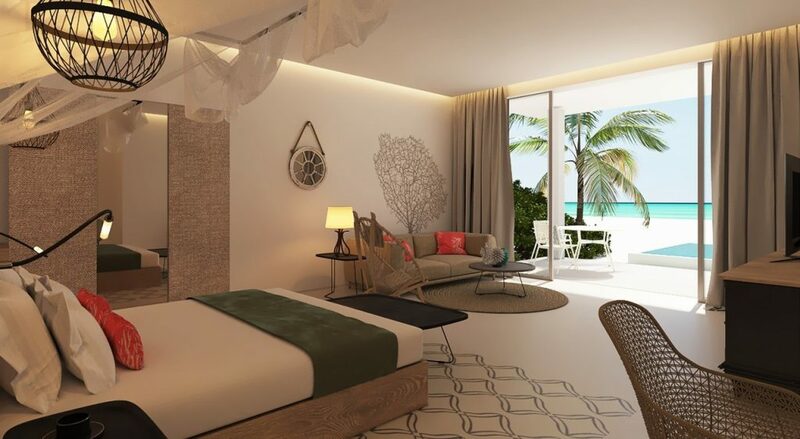 Sun Aqua Iru Veli will be the fifth resort by Sun Siyam Resorts and its third property under the brand Sun Aqua.